Tween Book Club starts later this month, and the group will be reading the always fun and entertaining classic Pippi Longstocking by Astrid Lindgren. Pippi is a unique character. Her father is a pirate lost at sea and her mother is in heaven, so she lives alone in her home, the Villa Villekulla. She is the strongest girl in the world and can easily lift her pet horse. Together with her neighbors, Tommy and Annika, Pippi’s life is a series of off-the-wall adventures, outsmarting adults and bringing joy to children throughout the town. 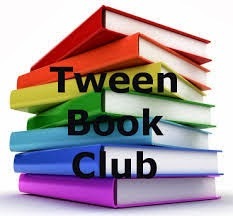 Tween Book Club is open to kids in 3rd through 5th grade. The club meets 4 times for each book. At the first meeting, we get to know each other and go over the rules and schedule for the remainder of the book club meetings. At each of the next three meetings, the kids are expected to have read a third of the book and be prepared for discussion and related activities. During the last meeting, we watch the movie! Best of all, each participant will be allowed to keep their copy of the book absolutely free! The Winter 2014 Tween Book Club will begin on Tuesday, January 21st at 4:00pm. The library asks that participants please register by Friday, January 17th, so we can be sure to have enough copies for everyone. To register your child or if you have any questions, email the Children’s Librarian at sarahbeth@spencerlibrary.com.